New Year’s Eve is for stocking up on pét-nat and dressing like a disco ball, but New Year’s Day is the time to re-examine our fridges and pantries. This year, we’re stocking up on new obsessions and old favorites that make our food taste good and make us feel good too. Yeah, some of these foods are all-day cafe mainstays and burgeoning Instagram stars, but we love ‘em because they’re delicious and highly cookable. These ingredients make weeknight dinners faster, meal prep simpler, and healthy baking more delicious. Cheers to another year of healthy, delicious food. Every week, Healthyish editor Amanda Shapiro talks about what she’s seeing, eating, watching, and reading in the wellness world and beyond. Pro tip: If you sign up for the newsletter, you’ll get the scoop before everyone else. Yesterday I ran around in the pouring rain, from the gym to a coffee meeting to my polling place to the Brooklyn neighborhood of Bay Ridge, where I spent the afternoon and evening knocking on people’s doors. It was something I should’ve done a lot sooner this election season. If I had, I would’ve remembered what a simple and powerful choice it is, to show up in a place where the stakes are high, to stand face-to-face with people (or, uh, their closed doors), and talk about the most basic civil right we have: the right to vote. Election Day is the easiest time to canvass because it’s not the time to argue or convince. I spent my hours talking to registered Democrats, asking if they had a plan to vote, if they knew where to go, if they needed help getting there. By 7 p.m., the people answering their doors had mostly voted already. A lot of them were excited and hopeful. They offered me water and asked where the Gounardes campaign would be celebrating that night. Bay Ridge is not the Brooklyn that most people think of when they hear the word. It’s whiter and wealthier than the NYC average. It’s a small town in the big city with the politics to match. Being there was a reminder that “the other side” is never as far away as we think. It’s in our boroughs, our counties. It’s a short drive or a train ride away. I don’t say this in a threatening way; it’s actually empowering to do the work in your own backyard. In recent weeks, New Yorkers flooded Bay Ridge to campaign for two Democrats, Andrew Gounardes and Max Rose. And, last night, both of them won, both unseating Republican incumbents. On a night filled with disappointing news out of Texas, Florida, and North Dakota, these two victories—not to mention Alexandria Ocasio-Cortez‘s—gave me hope. Today I’ve been thinking about Eva’s tweet, Erika’s post, and Zan’s newsletter. For what it’s worth, I voted in my grandmother’s black trench coat, and it was no match for the rain. The evolution of pizza, much like the progression of ordering delivery, has made great strides in the last decade. Today there is a pizza for every mood, attitude, and food preference. Thanks to the Healthyish-approved restaurants on Caviar, you can get wholesome, healthful pizzas (yes, pizza!) delivered right to your door. Whether you’re ordering a veggie-covered ‘za from the Caviar app on your cab ride home or clicking on a classic pepperoni with gluten-free crust from the comforts of your couch, it’s never been easier, tastier, or more healthful to order pizza. In D.C., NYC, L.A., and Chicago, these are some of our top delivery picks for every kind of pie lover, from traditionalists to trendsetters. When you think of Chicago pizza, you probably think of deep dish pies. Perhaps you recall a particular skit in which some sports fans, dressed in Chicago Bears regalia, huddle round a table overflowing with fast-food favorites while interjecting “Da Bears.” Thanks to the passage of time and the invention of Caviar, it doesn’t have to be this way anymore! At Doc B’s Fresh Kitchen, purists can opt in to a margherita, traditionalists may prefer plain pepperoni, and if you want a Healthyish spin on on your ‘za, there are a wealth of options. 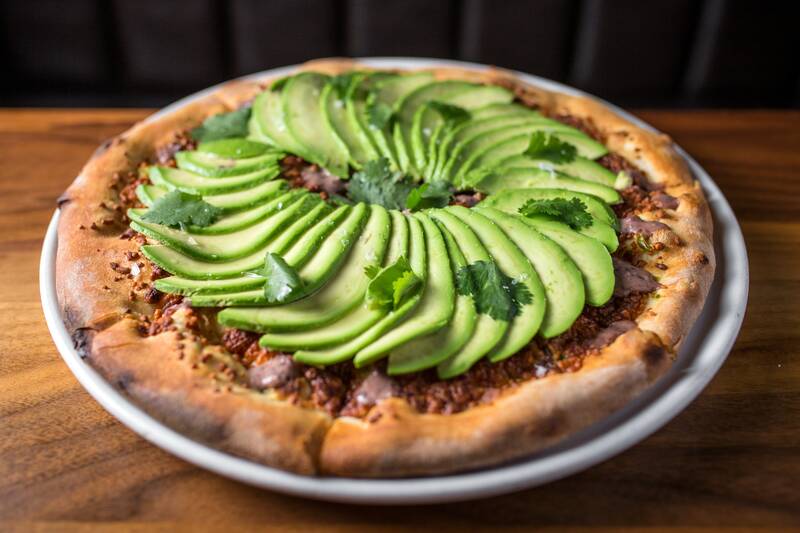 Try the Kale and Goat Cheese Pizza, the Shrimp and Arugula Pizza, or get all your good fats in one sitting with the Avocado Pizza, which is covered (quite literally) in sliced avocado with pickled jalapeno, cotija cheese, and “frenched” onion. While the District of Columbia may not be making headlines for its pizza (they’ve got a few other things going on), the city is a notorious melting pot of cultures and cuisines. Take, for example, Timber Pizza Co. While it was started by two guys who loved pizza and basketball, it now boasts Daniela Moreira as its executive chef. Daniela, an Argentinian native, brought her impressive resume (which includes Eleven Madison Park) and native global flare to the kitchen. In addition to tasty empanadas, the pizzas get flavorful upgrades, too. Bring the heat with The Bentley, which features cured chorizo, sopressata, and Peruvian sweet peppers with spicy honey and hot sauce, or try a unique combo with The Penelope, which has pesto, fresh mozzarella, mushrooms, bacon, and paprika. Like Chicago, New York City has a reputation to uphold when it comes to pizza––especially delivery. It’s a quintessential part of living in The Big Apple, like getting on the wrong train and going in the opposite direction by accident or getting caught in an rainstorm without an umbrella. It just comes with the territory. Thankfully, New York City also has a reputation for offering its inhabitants almost anything they want, at any time, anywhere. So that homemade pie you’ve been craving with guanciale and pecorino? Yep, you can get that at home, too. Over in Brooklyn, Ops Pizza is shutting down woodfired-pizza haters one pie at a time with their unbelievably fresh, artisanal sourdough pizzas. You could embrace your inner Italian (we’ve all got one) and order the Rojo Pizza, covered in a sheet of mortadella, with peppers and cresenza. Non-meat eaters might consider the Iron Age with mushrooms, mozzarella, Parmesan, and herbs. Or you could err toward a more traditional NYC style with the Square Pie, which has tomatoes, house mozzarella, olives, oregano and basil. Sometimes it’s hard to believe that the wellness gatekeepers of Los Angeles allowed pizza into the city at all. But what makes L.A. so great (among sunshine and matcha lattes) is the culinary revolution that has swept the entire city. Today’s L.A. marries its long-standing zeal for wellness-friendly ingredients with everyone’s favorite food, pizza. Downtown at Zinc Cafe (delivering only on Caviar) they’re mixing things up with options like a breakfast pizza, piled high with mushrooms, harissa, eggs, leeks, and shallots, or the shaved asparagus and quail egg pizza made with ingredients that might as well be Kryptonite, like bechamel, burrata, garlic confit, and lemon rind. For the less adventurous pizza eater, there are creative standards, too: A pesto pizza made with homemade pesto, roasted peppers, sun-dried tomatoes, and toasted pine nuts, or a funghi pizza for mushroom lovers. If you really want to out-L.A. yourself, however, there’s Jewel LA in Silverlake, where chef Jasmine Shimoda is taking a decidedly modern approach to fresh pizza with crusts made from activated charcoal (the health-related kind, not the grilling kind). The Market Pie has squash blossoms, basil pesto, and almond ricotta, whereas the Black Amber combines kabocha squash, kale, and caramelized onions with chili, almond ricotta, salsa verde, and mint. You want the best, Healthyish-approved pizza? Caviar’s got it. We emailed back and forth about small edits. Sometimes I’d hear from her in a day; other times a month would pass, but Fatima would always come back with an apology—she’d been in treatment, or recovering from treatment, or in the hospital with the flu—and a more polished draft. In May, we published her first essay about how cancer changed the way she cooks. A few weeks ago, Fatima emailed me to ask if I was interested in another essay. She told me that her cancer was back. She wanted to write about what it felt like to go from a healthy 28-year-old chef on one of the biggest cooking shows in the world—someone who exercised diligently, drank responsibly, and ate well—to a cancer patient being told that she had just a 10 percent chance of living through the year. Of course I said yes, and her essay came in within the week. This time, our back-and-forth edits went quickly. I could sense Fatima’s urgency in getting it out into the world. This second essay is one of the most powerful stories I’ve run on Healthyish since we launched almost two years ago, and it has resonated widely since it was published yesterday. I’m grateful to Fatima for writing it and awed by her ability to put words to what she’s experiencing right now. Working with Fatima has reminded me that there are infinite stories to be told beyond the pitches that land in my inbox every day. There are more people out there with experiences to share. 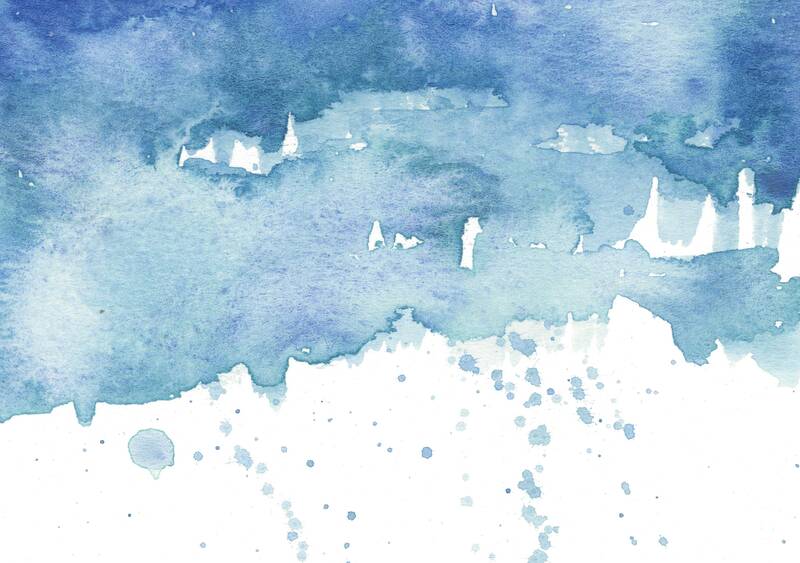 In her second essay, Fatima writes, “When we think we have all the time in the world to live, we forget to indulge in the experiences of living. When that choice is yanked away from us, that’s when we scramble to feel.” This isn’t a new idea, but it really hit home for me this week, when I’m feeling fatigued by the depressing news cycle and the constant hamster wheel of assigning, editing, and posting that comes with running a media site. Working on these posts with Fatima has forced me to slow down, to think harder about the words on the page, and to honor the writer behind them. It’s a small thing, but I’m grateful.